Disclaimer: In many of my articles I at least try to put in some effort to make my writing “thoughtful”, by that I mean reflecting on the various points of view of an issue and attempting to counter-balance the possible responses to my statements in as fair and balanced a manner as possible, including qualifying statements, bounding perspectives, and shying away from more extreme statements. However in this article I am going to deviate from that tendency slightly and simply speak my mind based on my personal experience, current opinions and viewpoints on various matters relating to religion, the journey of life, and happiness. Much of what I say in this article may be “triggering” to believing LDS members (“triggering” means the words have a tendency to trigger a negative emotional reaction). As an attempt to be thoughtful and considerate to those believers who still follow my blog, I am writing this disclaimer, my aim in writing this is not to stir up negativity within people, this is not written to “attack” any of you. If you are open to challenging your viewpoint or considering contrasting views and sharing with me some of my genuine feelings, read on, however if you find this article too emotionally draining or triggering to read, I’d suggest simply withdrawing, because I am going to speak about my faith transition in ways that certainly counter the classical believing LDS narrative. While I don’t think I will be intentionally offensive, I will be more liberal in applying my very unorthodox thoughts to my writing than I usually am. OK, on to the article. Last night I was eating dinner with my wife and we were talking, as we often do, about life, happiness, faith, family, and these kinds of subjects. I think it would be difficult to estimate how many hours of conversation between my wife and I have been the result of my faith transition; definitely we are up in the several hundreds. Although she did not walk the path together with me, out of all people she was the closest to me during my journey. That’s exactly how I felt about a year ago, or throughout the year 2015 as well. I could see no way back to happiness. Life was dark and dreary. “Those who lose their faith can never be fully happy. Wickedness never was happiness. The only way to lead a fully happy and fulfilled life is through the Gospel of Jesus Christ. Apostates are bitter, angry people absorbed in their hatred towards the church, because Satan has gotten a hold of their hearts.” (My paraphrase). “The laughter of the world is merely loneliness pathetically trying to reassure itself.” — Neal A. Maxwell. This could not be further from the truth, and these are the memes of LDS Mormonism that keep people in the system with fear. Fear that if they leave, they cannot truly be happy, will not truly be “blessed”, and life cannot truly be “whole” or great. These concepts are all wrong. Indeed, one of the first things I found in my research into other religions is the proliferation of this idea. The Jehovah’s Witnesses say it, the Scientologists say it, the Moonies say it — all of their “apostates” cannot truly be happy — and so I realised this is just a run-of-the-mill meme of religion, that keeps people in the system. So today I will consider the “fruits” of apostasy, with some chronology packaged in. These ideas that wickedness never was happiness, the ideas that outside of the church one cannot truly be happy, while I say they are ultimately wrong, they do have their origins in reality, because the beginning of leaving faith is perhaps the darkest time that one has in one’s life. I could pretty much write off almost the entire year of 2015 to my personal journey, and it was the darkest, deepest, and most difficult year of my life so far. There’s a reason they call it “faith crisis”, it is a personal crisis, and it’s so difficult to realise what we have realised. The religion of our youth is not true. The faith of our fathers is a lie. Again, not to say that our fathers were idiots, or never benefited from said faith, or that we never benefited from it in positive ways, but ultimately the promises the doctrines of the church make; happiness in this life and salvation in the life to come, are false promises to which neither it, nor God, delivers on. You consecrate your life in the temple, and in exchange are promised to become kings and queens, priests and priestesses unto the most high God, but it turns out those promises are ultimately specious. You’ve entered into a deal where the other party cannot and will not deliver, and may not even exist. This realisation throws someone vigorously into the 5 stages of grief, starting with denial. I’ve heard it said the only difference between apologists and apostates is which stage of grief they’re in. Apologists never really move beyond stage 1. Without going into detail, after examining the “data” of the church at great length, I believe the most reasonable interpretation is, for lack of better words, “the church is not true”. While I do actually have a special and unique respect for apologists that most people don’t grant them (at least they manifest a willingness to engage with the data), I do believe their conclusions are ultimately flawed and their behaviour manifests an unwillingness to see beyond the bounds of their subjective experience and engage with the larger dataset (for instance, reading the apologetics of those of other faiths and seeing the similarities, deeply engaging with the religious experiences of other faiths, etc.). Isn’t it interesting that the second stage of grief is anger? Apostates are angry and bitter people right? Again, while somewhat based on reality, this perspective lacks nuance: “The squeaky wheel gets the grease”, the noise that people within the second stage of grief make is projected to apply to all apostates, where it really is only a small subset that are still within the grief period. My anger stage was never really a huge thing, it’s just not my temperament to be very angry. I think the “depression” stage is a more accurate label of where I spent most of my time. But like every day, the sun eventually rises. As I dealt with my grief, saw a therapist, and worked through the journey at length and in detail with various models helping me, eventually I moved on to Acceptance. I’ll never forget a funny companion of mine on the mission (he too has left the faith), who once said to me “disobedience brings blessings”, as a teasing joke because I had gotten to move to a nicer mission apartment away from a member family because they complained about us so much. Now I realise, disobedience does not bring blessings per se, but it does not bring negativity either, per se. 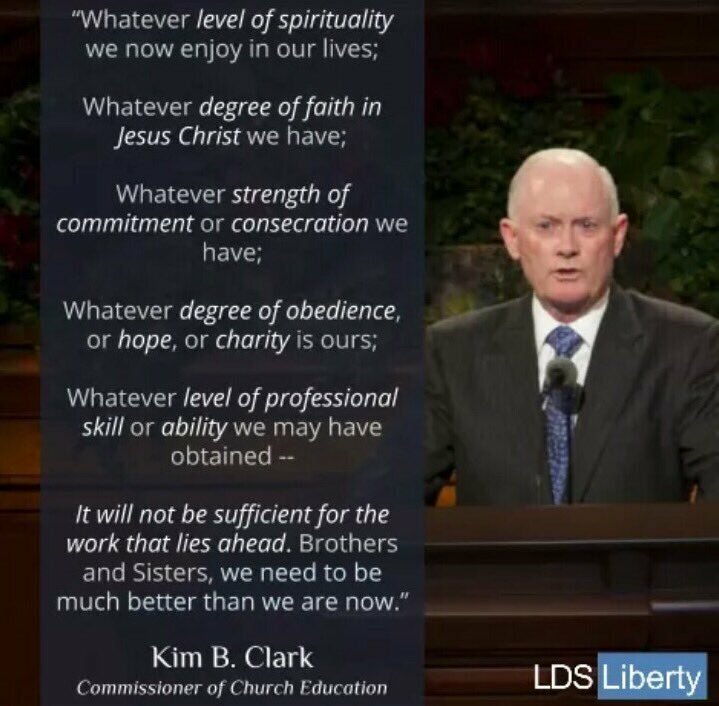 I find it difficult to express in words how much better life is now, and that the further and further I distance myself from the LDS church and its teachings (*without throwing the baby away with the bathwater, of course), that life just keeps getting better. It does get better — so much better, if you stick with it and ride the waves of grief out. I’m going to count several dimensions of how life has gotten better, in various ways. The memes of religion often suggest that one be “recreated” in the image of someone else. In Mormonism, this is Jesus, “have you received his image in your countenance?”. This suggests the loss of self and transformation into the image of someone else. Indeed, as I will eventually get to in my Spiritual Experiences podcast, I believe this “grinding” of ones self against the stone of a set personality is capable of generating certain unique emotional experiences — it is the “breaking” of the heart, the rendering of the spirit “contrite”. But being yourself can be so much more beautiful, real, rewarding, and above all, happy. Early on in my mission I could feel my personality being eroded away and re-created in the image of the church. I have since reviewed my mission journals and observed the process. I took a picture of myself while I was riding on a rollercoaster and wrote that I was “forever Shawn” — implying that I was fighting back against some kind of a personal reformation / transformation. My authentic self was trying to assert itself. It got eroded away in the process of the mission. But since losing my faith I have increasingly gotten in touch with who I really am. “I am a good man”. “I am a good person”. This is something a believer could never justify thinking, seeing as even Jesus says he’s not good. But you know what, you are probably good too. It’s religion that’s made you think you’re not good. And it’s not true. This world is filled with beautiful, smart, and genuinely good people. One just has to look around to see them. Getting in deeper touch with my authentic self has been a great source of joy in my life. And I feel closer and closer to it every day as I laugh, exercise, lead, work, read, and simply engage more fully with this wonderful life I have. Tithing does absolutely nothing for your temporal success in life, and there is no good evidence to suggest that LDS people are in any way better temporally off than others (outside of normal geographical or sociopolitical factors). Sure, one might argue this sacrifice helps us to become less selfish with our money, or focus on the most important things in life, or to help the poor and needy. These are all true, but there are much better ways to achieve those. My finances have never been better. Seeing as the only “evidence” in favour of the temporal blessings of tithing are personal anecdotes, allow me to share a counter-anecdote. About a year ago I stopped paying tithing. I immediately got an 11% raise (100/90 = 1.11 — accountants tithing 🙂 ). In the beginning, I simply spent the extra money on things that we had lacked; we needed new tools at home, or blankets, to pay for my wife’s car insurance, and others. In the past paying for those things was more difficult and stressful, but now it was easier with the additional income. Aside from that, I donated the money; to Mormon Stories, and other NFP organisations. Then I started reading a lot more about personal finance. I picked up a Tony Robbins book on Money, which introduced many of the basic ideas of frugality and investment. I read about trading, investing, interest, etc. I decided that the tithing money I had once earned would be best put into a nest egg (seeing as by paying tithing I had already shown I have the fiscal discipline to set aside 10%), so I started saving it and investing it. Then I started my own “after hours” business. I wanted to figure out how to scale my time to get passive income. I started to find some ways. On top of that I started teaching Chinese and English again, and putting 50% of that income into various investments and savings. I got a promotion and a raise at work, partially because I was much more focused while at work on how to be better and add more value, amongst other factors. Now my work and career is better and more enjoyable than it’s ever been before, and I earn and save more than ever before. I’ve realised that the LDS church and its brand of spirituality, when taken to the “faithful” level that I had, actually forms a distraction for financial and professional success. I’m not the only one to observe this. Certainly, that doesn’t mean no LDS person ever had a wildly successful career (just look at Mitt Romney), but it means it quite often distracts from that. Ironically I genuinely don’t perceive myself as “worldly” or “materialistic” (I care much more for “the marketplace of ideas” than money), but increasing financial success is an important foundation for a life of security, and forms a platform for a safer and happier family and other pursuits. Which brings me to the next topic: stress. Perhaps the two happiest eras of my life were: 1) 2009, after my mission, and 2) Now, after my faith transition. Both of these times correspond with a sharp decline in church activity — though this one had the dark period before it. Part time studies, which were looking to blow out to another 2+ years after already being in it 5 years. To be completely fair, my stress was a composite of being too busy generally, and the church was a part of that, but not the whole. Nevertheless, it was a big part. Let me elaborate. Activity in your calling, for me and mine, ~3-5 hours per week = 4:00 (sometimes more with attending various church meetings in the stake), to be conservative let’s say 2:00. This is just an hours calculation, which I think is conservative. But the stress of church life comes not only from the time demands, but the messaging given to you. Since that night two years ago I have completed my studies and left LDS belief behind. Again, it was just one factor, but life involves so much less stress now, with a large proportion of that attributable to leaving belief. For me personally, one of the major reasons I embarked on my journey of faith in the first instance was merely to obtain answers to my many questions. I wanted cognitive consonance: I wanted a worldview that was coherent and as accurate as possible. Now that I have spent so much time in the data, which is what this blog was mainly dedicated to, I have found my worldview. Sure, it was difficult to realise that my previous worldview was inaccurate. I was wrong. That was hard to realise. I had wasted a lot of time, and felt a lot of unnecessary guilt. But emerging out of this is a new worldview, risen from the ashes, that explains and makes sense of so much more than LDS belief does. And I have much stronger intellectual conviction that it is true than I ever did for my LDS belief, manifest in, among other things, my willingness to talk about it much more openly. You know that time I hurt someone by saying the wrong thing to them? Yes, I was wrong, and I shouldn’t have, and I should apologise. But I don’t need God’s forgiveness, and I didn’t cause a Deity to bleed in a garden. I can improve because of me. In the subsequent months I’ve realised how much unnecessary guilt I experienced in the LDS faith, and I believe many others do too. This is a colossal waste of human emotion and a colossal drain of human happiness. You can buy ice cream on Sunday, and it does not make you an immoral or worse person in any way. So many of the rules are so silly and so unnecessary. I now feel the same way about many of the LDS “commandments” as LDS people feel about the need to eat Halal meat — totally unnecessary. Also — I used to play a lot of computer and online games, especially DOTA 2. This year I have played the least DOTA 2 than I ever did before in the last 12 years, with the sole exception of my mission. I wonder now whether I played DOTA and other online games as a way to escape reality, a reality which was painful and often stressful, partially, as a result of LDS belief. Religion both creates (or, in some cases magnifies), and then attempts to solve, a happiness crisis in our lives. Religion offers us a balm of healing oil to soothe the soul, but behind the scenes it is the one cutting and scraping your soul in the first place. It tells you that you are broken, incomplete, and unworthy, but then if you follow it you can become whole, worthy and complete. This is typical great marketing; highlight, create or exaggerate a problem, and then conveniently offer your product as the solution. This is one of the reasons why religion often only appeals to those who are indeed down, depressed, or undergoing change in their lives. Often, it needs sadness to magnify, in order to get in front of people in the first instance. I have come to learn that I am, often, an intrinsically effervescent person. Mormonism interfered with that. It highlighted my weaknesses, blew out my sad times, and offered its balm of relief. It also magnified my intrinsic joy with its sense of purpose and direction. It gave me a set of rules to life my life by, which were helpful and useful, but ultimately not divine and flawed. Religion takes what is yours and sells it back to you at a price. I have let go of so much unnecessary baggage in this journey. It is so relieving and so free to be out. It’s something that can only be understood from first hand experience. I don’t hate the LDS church. I do blame it for a lot of the unnecessary holding back it’s done, but it’s given me so many positive things too. And in any case — who would I blame? Joseph Smith? The modern leaders? My parents? It’s an immensely complex beast, and in many cases it’s simply filled with sincere, good people who are doing their best — or at least I like to think so. No, I see no need to rashly run around pointing the finger of blame. I have taken responsibility for my life. “Fool me once, shame on you. Fool me twice, shame on me” — the locus of control has shifted. This is my life now. I am not blaming anyone for how it worked out, because it was, is, and will be awesome. I view my LDS faith as a stepping stone in my spiritual life. It took me from nothing to a certain place, and I’m sincerely grateful for that. Stepping off that stone was scary: who knew what would happen to me? Would I be at risk of being immoral? Could I raise moral children outside of the church? Would I lose friends and family? So many questions plagued me. Indeed, my therapist, when I started seeing him, suggested: “Maybe it’s better not to call it a ‘faith crisis’, but a ‘spiritual awakening'”. I didn’t feel it then, but I feel it now. This is the new narrative of faith transition. I write this post in celebration of life. Life is great. I love life, and am dedicated to making it cooler, happier, and more fulfilling for myself and those around me.